One Bitcoin sculpture Gold - Amarist studio - Artwork. 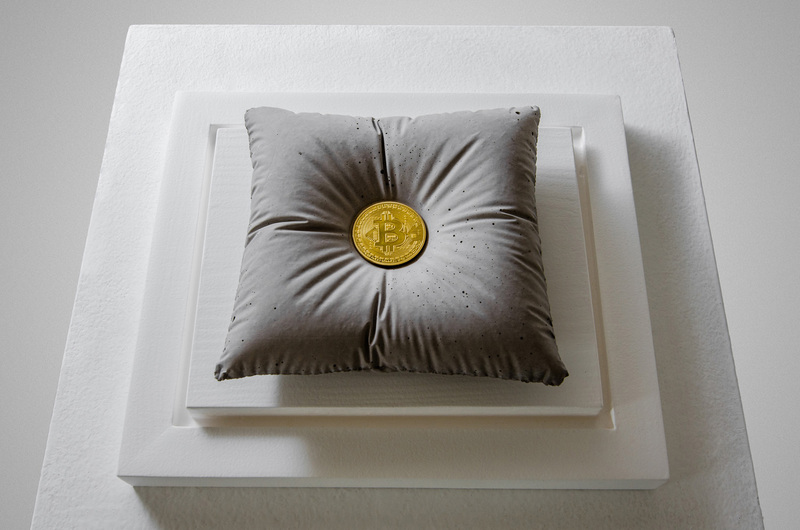 Concrete Pillow holding the weight of a Bitcoin. 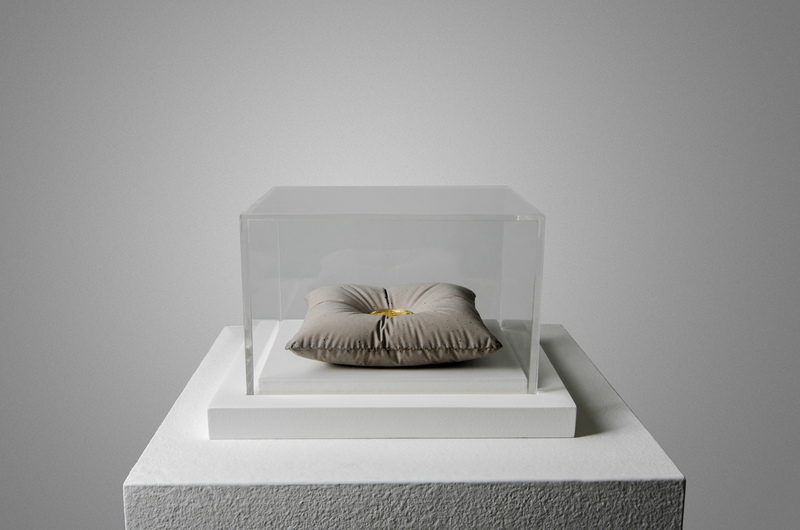 Sculpture enclosed in a glass urn. The sculpture is an ode to the blockchain revolution, headed by Bitcoin. An altar to innovation and to the new digital assets that no government or bank can control or manipulate. 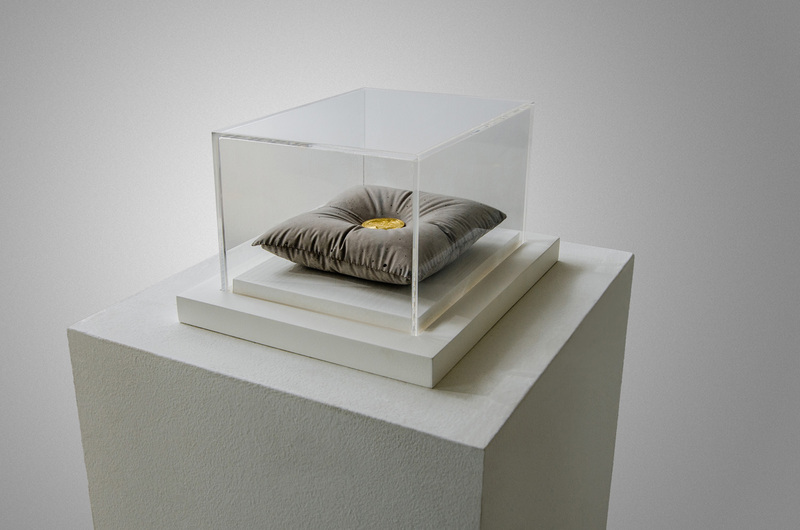 ONE BITCOIN is the first Sculpture reflecting on Bitcoin that can only be bought through Bitcoin. The value of the artwork is set at 1BTC, being an intrinsic representation of the value of the coin, which from now on will fluctuate together. In this matter the piece also wants to be a reflection on how deeply related are Art and Investment, where artworks are too often seen just as a mere economic venture. 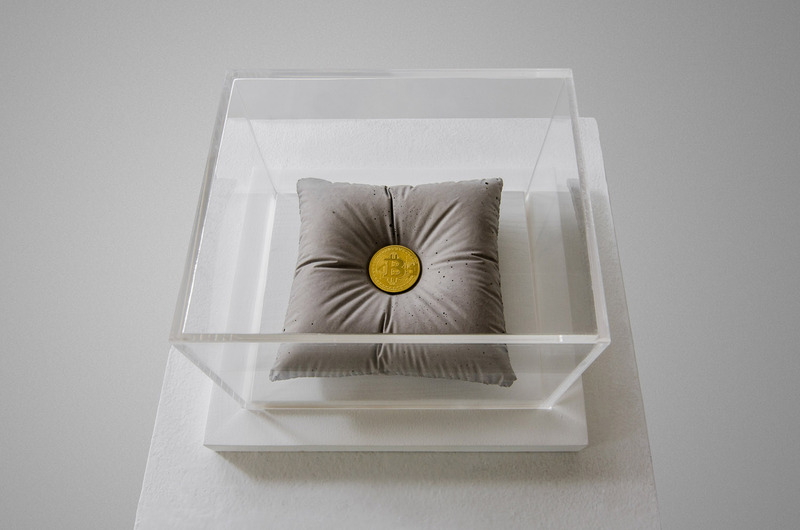 The pillow receiving the coin is made of concrete. 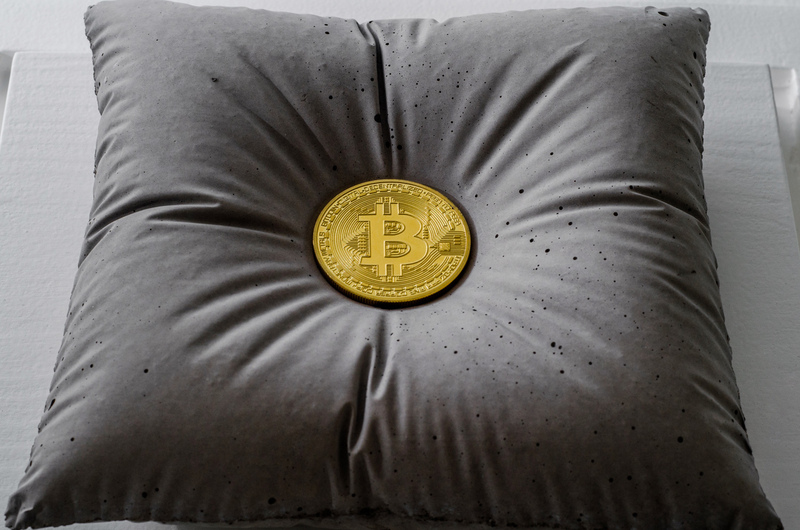 The contraposition of the hardness of the material with the fluffyness of the shape, enhanced by all the lines and wrinkes, is also a reflection on the force with which Bitcoin has bursted in the last months, emphasizing the weight that has gained in the market, competing with Gold to become the new paradigm for storage of wealth. 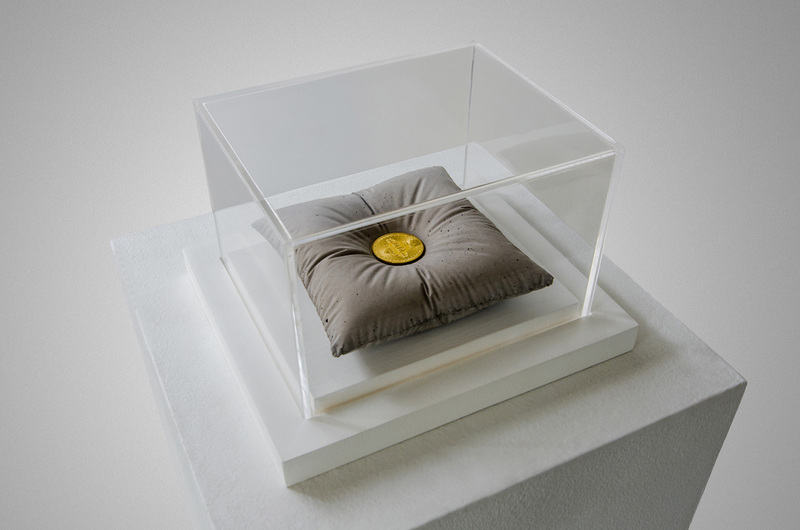 In fact, to reinforce the irony of this new battle for power, the artists have made the coin on the sculpture from pure solid Gold. One Bitcoin coined from 2.5oz of Gold, with a dimension of 40mm diameter and 3mm width. The urn emphasizes and protects the coin as an object of desire, representing the crazy unprecedented social FOMO over this digital asset. Arts and techniques: Goldsmith, sculpture. Materials: Pure Gold 24K, concrete.